Rescuing an animal has never been so spooky. 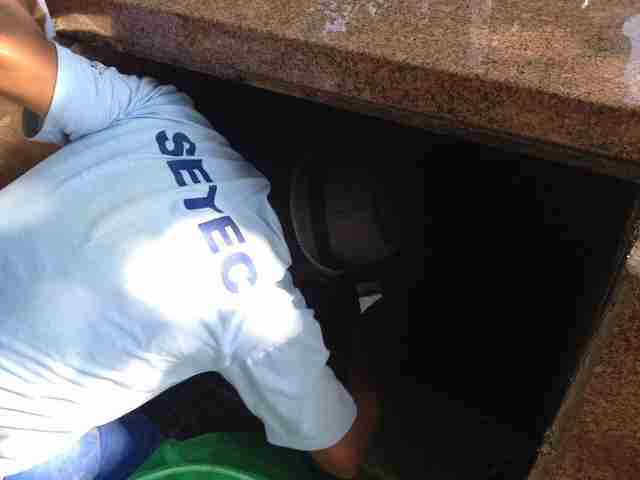 This week, workers at a cemetery in Sao Paulo, Brazil, were alarmed to hear the tiny cries of a trapped kitten - coming from inside a large tomb. They asked a local animal rescue group to help get him out. Still, the kitten's frightening ordeal was far from over. 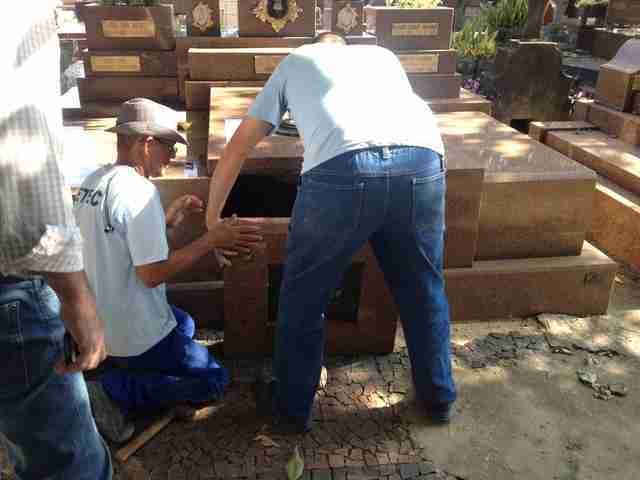 Since the tomb was technically private property, the rescuers couldn't simply open it up then and there. They needed permission from the family who owns it - but tracking them down wasn't easy. As the hours waxed on to no avail, the rescuers even enlisted the help of a lawyer to argue the case for opening the tomb with officials. 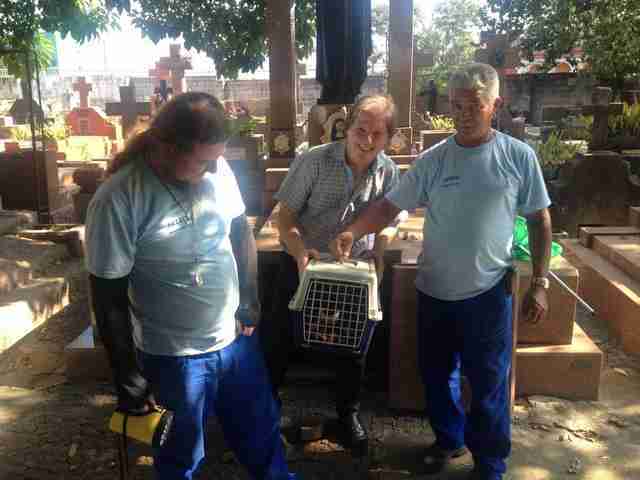 Fortunately, the tomb's owners were found in time, and they granted permission to get the kitten. Entering a dark, cavernous tomb where bodies have been interred for decades is no work for the fainthearted - but one brave volunteer did so if it meant saving a life. 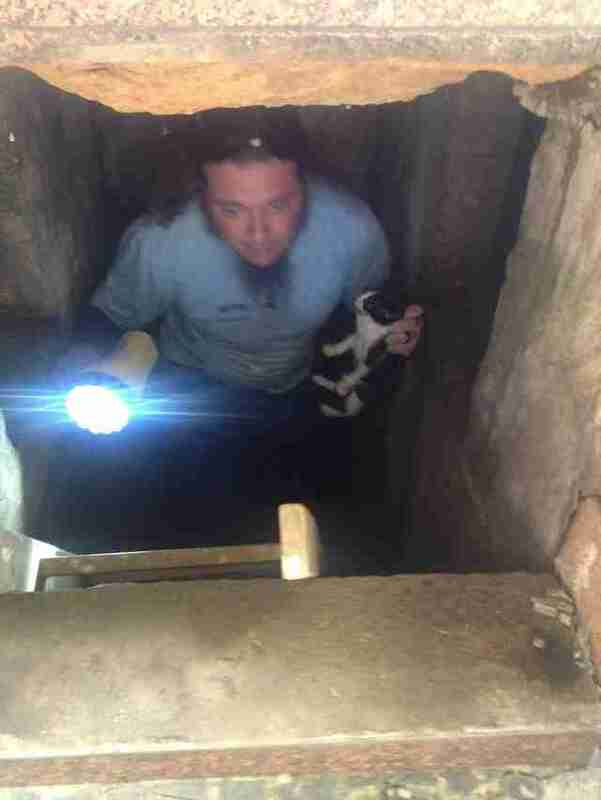 It's unclear how long the kitten had been trapped, though the rescuers don't suspect foul play was involved. 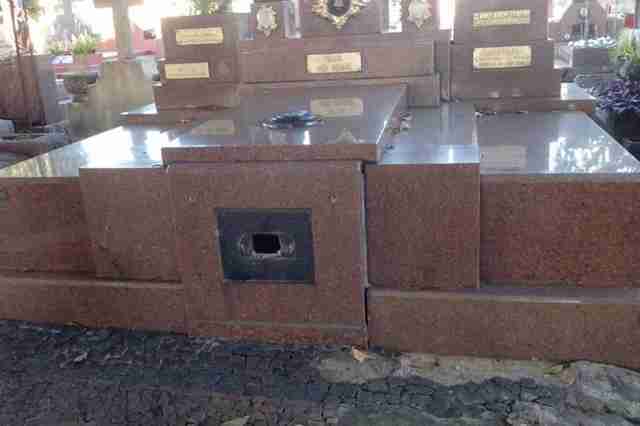 Rather, they believe his mother had kept him there for safekeeping, but failed to return. From that hair-raising situation, however, things now couldn't be any sunnier for the little cat whose life was saved. 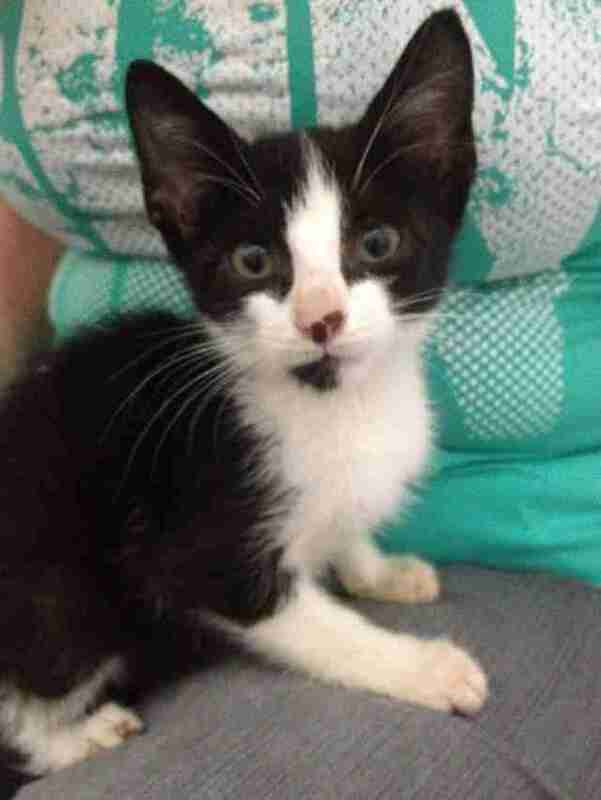 Now back in the land of the living, he's beginning to regain his strength in the care of his rescuers until the time comes for him to be adopted into a forever home. Truly, a happy ending to a scary start.